← Glee Season Two Spoilers! Countdown to Comic Con 2010! While I have dedicated this site mainly to films, I still appreciate all things nerdy! San Diego Comic Con International is a sacred event for me every single year. I literally drop everything in my life and head off to San Diego, California as if it were my person Mecca. The official programming guide isn’t posted until 10 days prior to the show, but the television Networks are already starting to post their intentions to attend this years event. Now the show is 40 days away, it’s no time like the present! V, Castle, No Ordinary Family, Big Bang Theory, It’s Always Sunny in Philadelphia, Fringe, Chuck, Human Target, Supernatural, Smallville, Sons of Anarchy, Glee, Family Guy, the Simpsons, American Dad, and the Cleveland Show, among many others. While most of these shows will find a home in Ballroom 20, let’s face it, Glee is going to be in Hall H. There is no other way to accommodate all of those people! Last year, The Twilight Saga: New Moon swept over the Convention. Since the newest Twilight flick will be arriving before the convention and filming has to to begin on the fourth installment, chances are it won’t be around this year. My prediction: Glee is going to be in the new Twilight. There is an even better chance that the new sign thrown around at this year’s convention will be, “Glee ruined Comic Con.” Granted, Glee is the biggest show on television, but a common complaint amongst the die-hard conventioneers (including your truly), “Is this even about comic books anymore?” The answer is, no it’s not. Comic book aside, the list of intended programming thus far looks pretty awesome. There is always something for everyone at this Fandome Faire. While I am looking forward to all that this year has to offer, I personally hope there is more hype for Tron: Legacy. The film is set to come out this Christmas and they have been advertising this at the Convention as early as 2008.Last year, they had set up Flynn’s Arcade in Downtown San Diego, which was easily my favorite thing to ever be at the show. I am crossing my fingers that the iconic Arcade is set up once again with different surprise behind the Tron game. I will continue to dish the dirt on programming as more arrives. I will also be blogging while I am at the Convention itself. 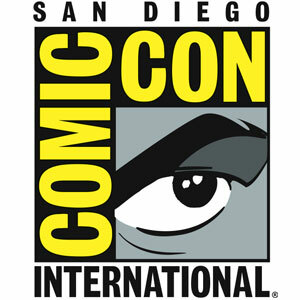 San Diego Comic Con International will be running from July 22nd – 25th, with preview night on July 21st. Hope to see you there!